This past week I had an opportunity to visit one of the most pleasant small towns in North America, Mackinac Island, where I participated in the annual conference for the Michigan Municipal League. 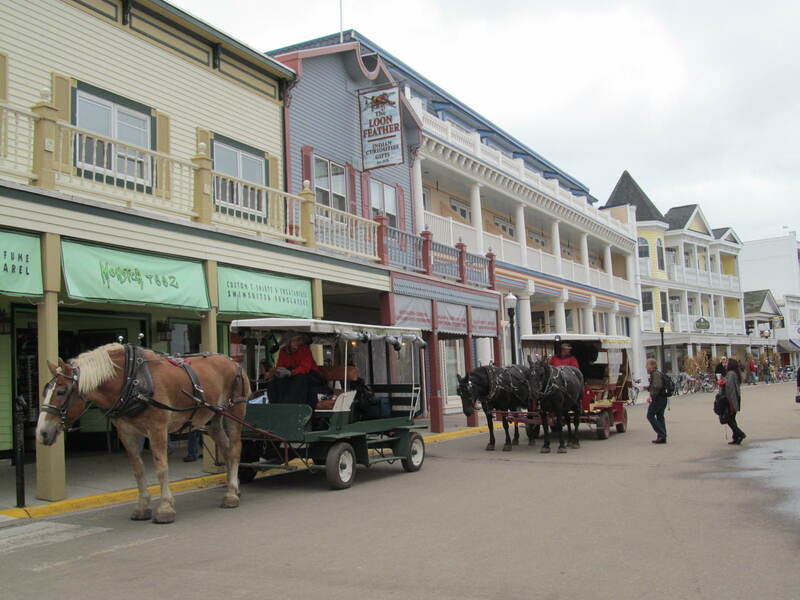 Even though I have traveled to the Island many times, during this visit I took specific notice of how an auto-free Mackinac functions and how it is considerably different than the majority of places on the continent. 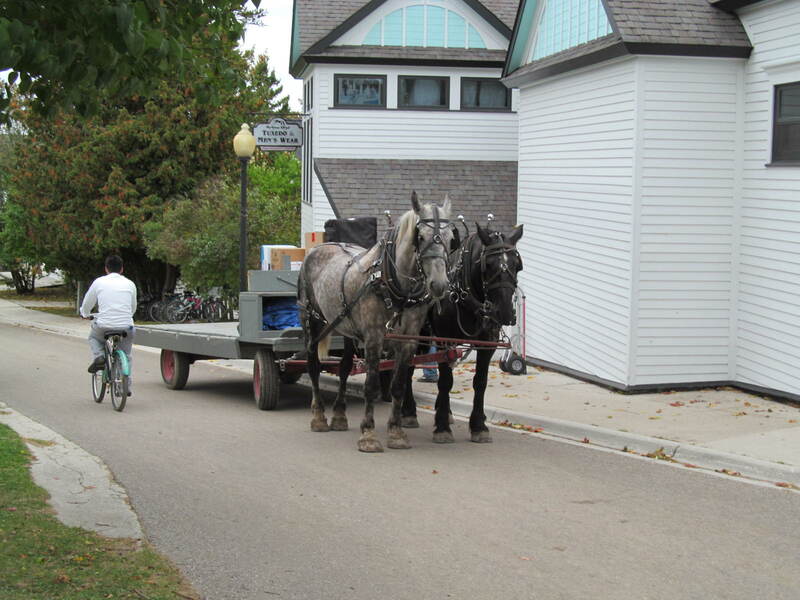 While most cities and towns throughout America function in similar ways, Mackinac illustrates that alternative means of conducting daily activities are possible. With a focus on vehicular-oriented development, the everyday activities for hundreds of millions of people are amazingly alike. These include, driving to drop off the kids, drive to work, drive to lunch, drive to pick up the kids, drive home from work, drive to get dinner and so on. 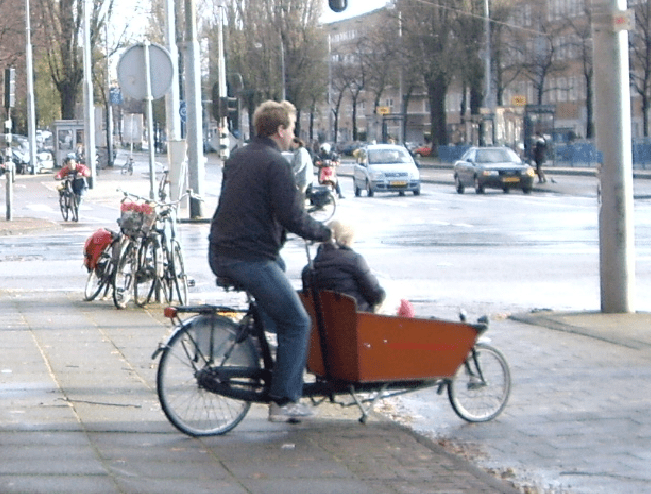 Even those who have chosen walkable and dense environments to live are faced with the typical daily routine of depending on cars and other motor vehicles to exist. I am not suggesting that we build contemporary cities and towns to accommodate horses and to guide development as if it were the turn of the last century. However, there is a lesson to be learned from an environment like Mackinac Island that achieves necessary functions, with atypical methods. Virtually all activities that occur on the Island do so without the aid of a motor vehicle, as they are not allowed. And yet, the residents, workers and visitors to Mackinac function without diminishing their quality of life or experience. In fact, many would argue that this alternative environment is preferred. Without a doubt, it is less hectic and noticeably quiet. Some examples of the various ways in which the Islander’s activities are different, can be witnessed immediately as you step foot off of the boat from the mainland. 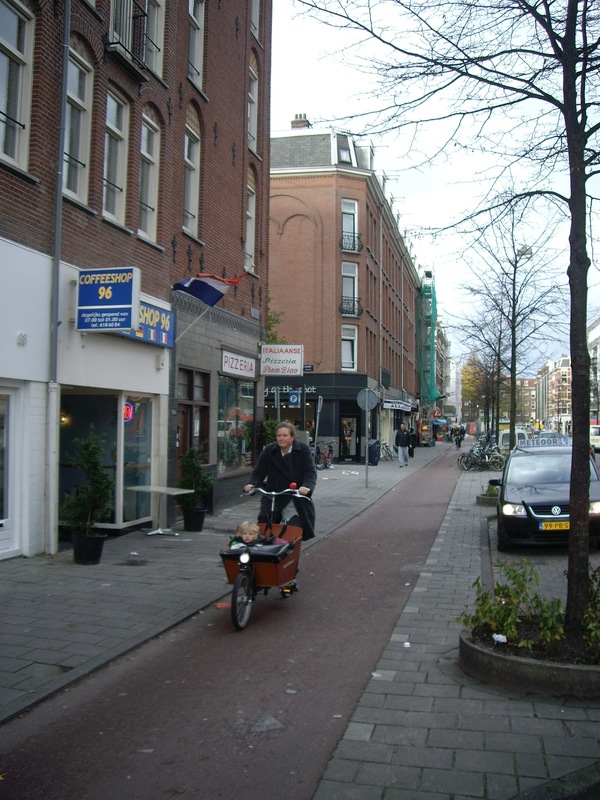 The lack of noise is apparent, you are confronted by many active people, most of which are walking and riding bikes. 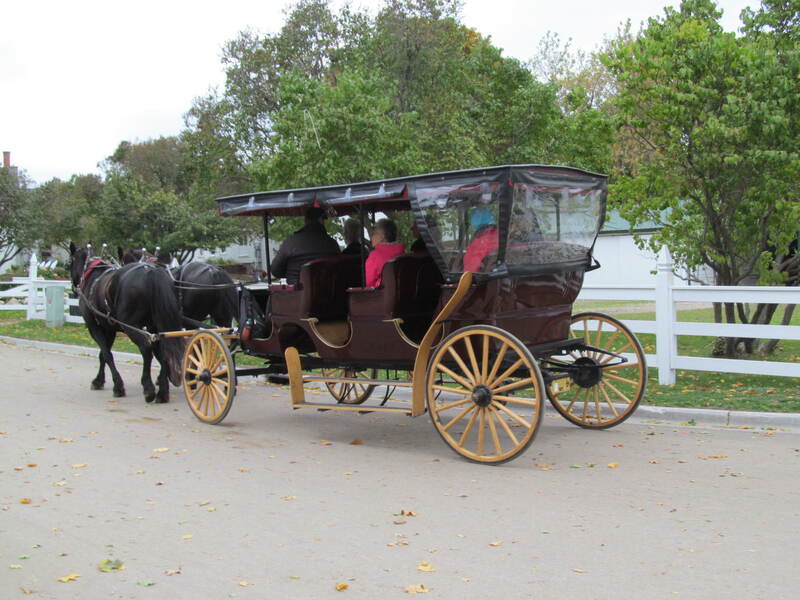 Horse-drawn taxis are an option for those who choose or have items to carry. Special service bikes are evident for the workers who are doing various jobs of delivering, maintenance, cleaning, etc. 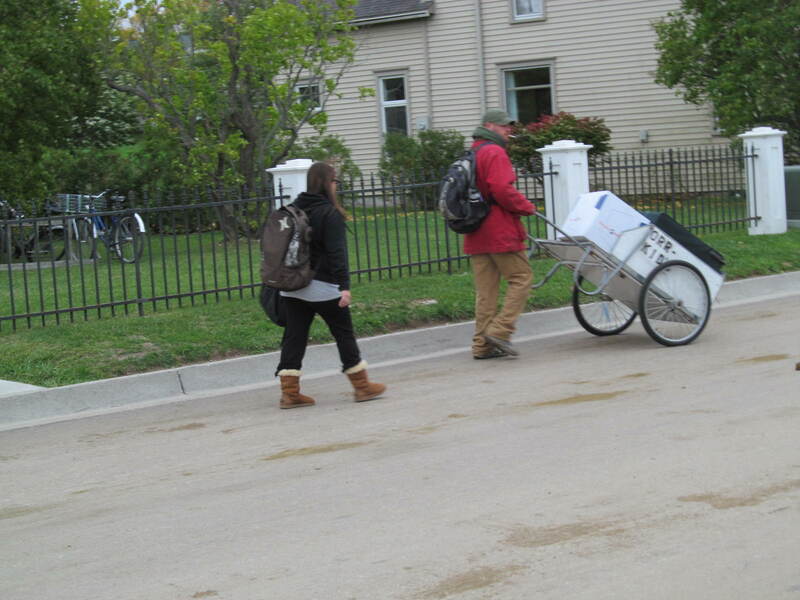 By foot, bike or horse, daily required activities are achieved, in a seemingly appropriate and efficient manner. While this is different than what most people are accustomed to, it is clearly effective, as the town’s daily functions seem to carry on without a hitch. 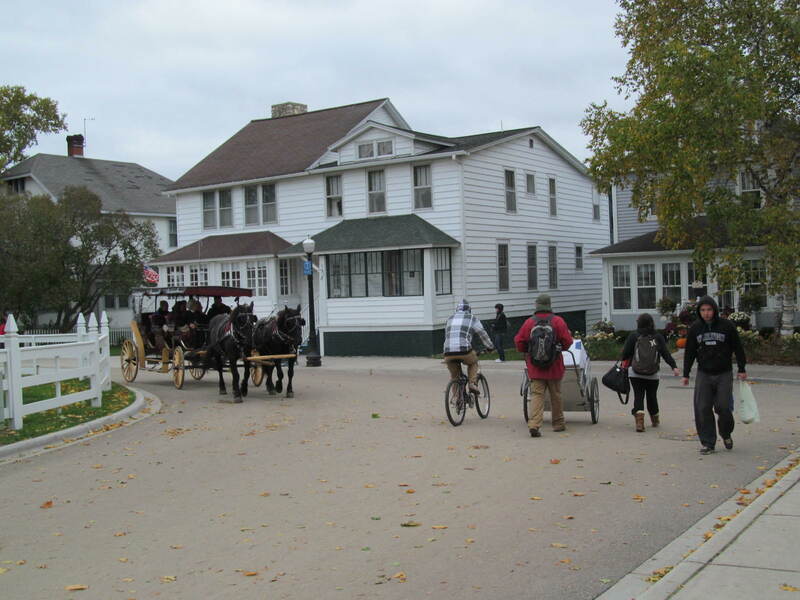 Mackinac Island is just one of many places in the world where everyday activities are completed in unique and innovative ways compared to cities in America. 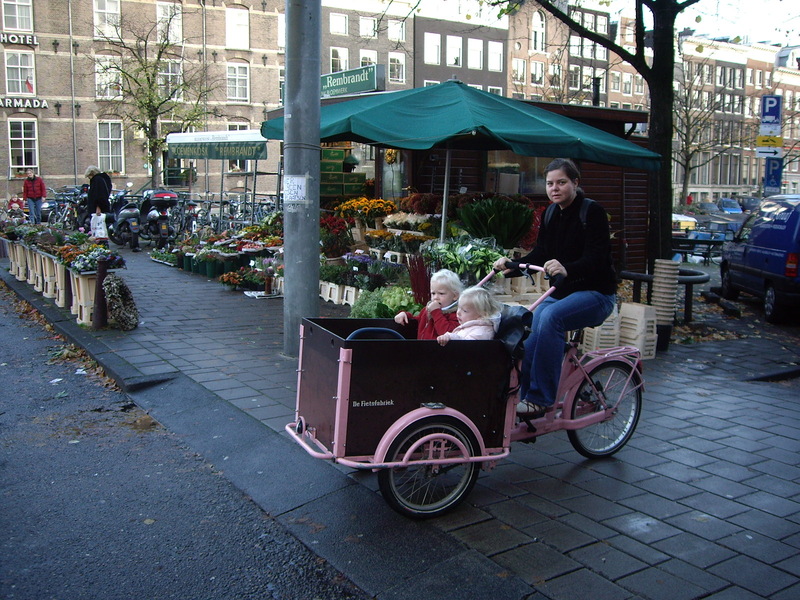 Some examples include, parents taking their children to school and daycare by bicycle in the Netherlands, supplies and products being delivered to businesses by boat in Venice and in many cities of the world, grocery shopping is always done on foot. In these cases and many more, alternative methods are used to complete common, daily functions. The lesson to be learned from a visit to these alternative environments, so different from the majority of our current North American society, is that it is entirely possible to incorporate other options when providing the daily needs within a city or town. 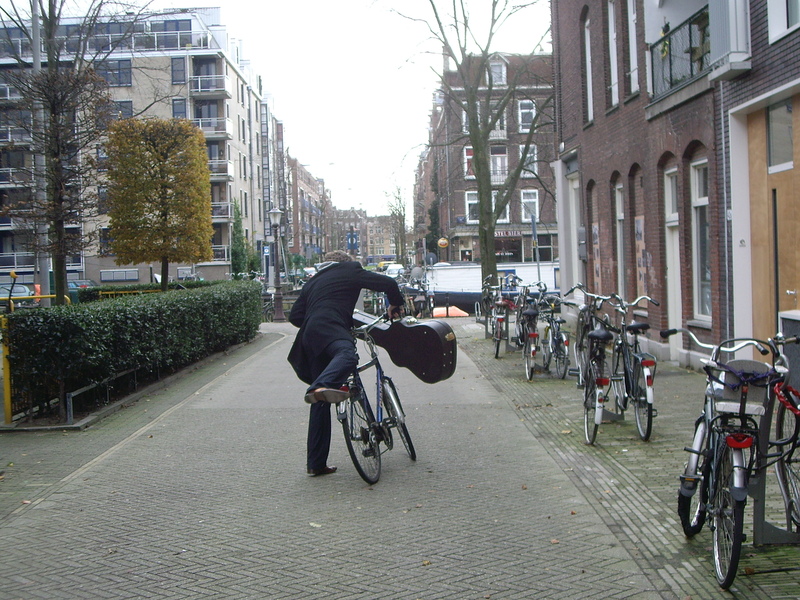 It is important to note that there are many opportunities to revise our existing methods of carrying out daily activities in our cities, towns, downtowns, districts and neighborhoods, while potentially increasing functions and the quality of life. In the new paradigm of development and city-building that is driven by the current economic landscape, there is a need to identify unique paths and procedures to create and enhance our built environment. We need to do more with less, find alternatives to past practices and think out-of-the-box for the future health and sustainability of our live, work and play “Places”. There are numerous alternatives working well in the world today, can some of them be incorporated into our current situation and make for a better system? How can city leaders, planners, urban designers and architects look at the built environment in a different manner and uncover innovative ways to provide the required elements of the contemporary working city? As we keep observing, learning and thinking of potential applications, a higher quality of life experience will ultimately emerge in our cities and towns.